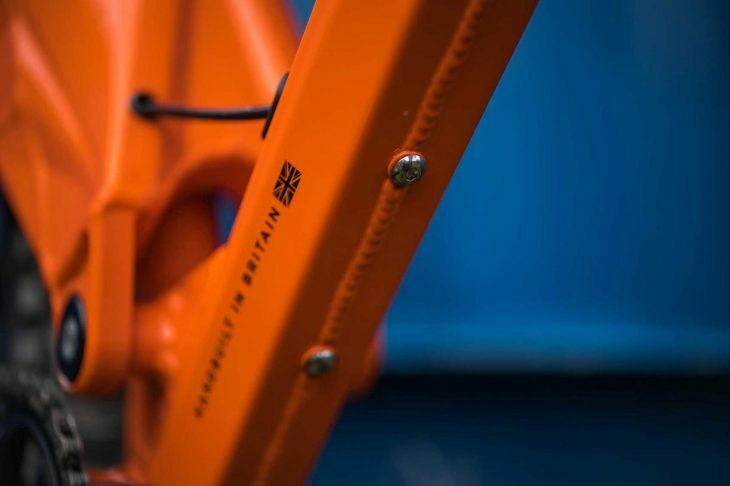 The 2020 Orange Five is incredibly the ‘Mark 12’ version of this iconic, British-made full suspension bike from Orange Bikes. 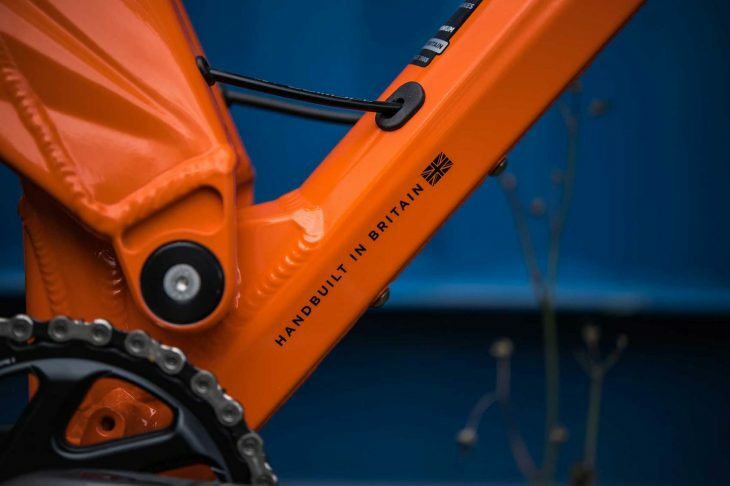 It’s no small thing that the Orange Five is doubtless the best-selling British-made bike ever, tracing its roots back 20 years, so every update, however small, needs attention. 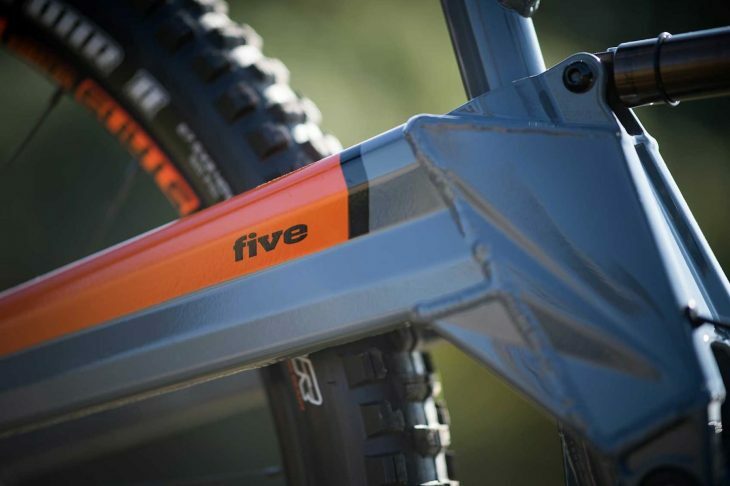 Following the launch of the Alpine6 last week, it seemed logical to hope for a Five launch soon, and here it is. Now look at a Five from ten years ago and see the difference. For 2020, at first look, there doesn’t seem to be that much difference from the previous model. Look closer, though, and there are a load of small changes that add up to a great deal. Starting with the overall look. The previous generation introduced the keyhole-shaped, curving top tube and the much more compact tube dimensions, but the 2020 version has taken all of those tubes (every one, bar the seat tube) and tweaked and re-shaped them all. The biggest visual difference, though, has to be in the graphics. 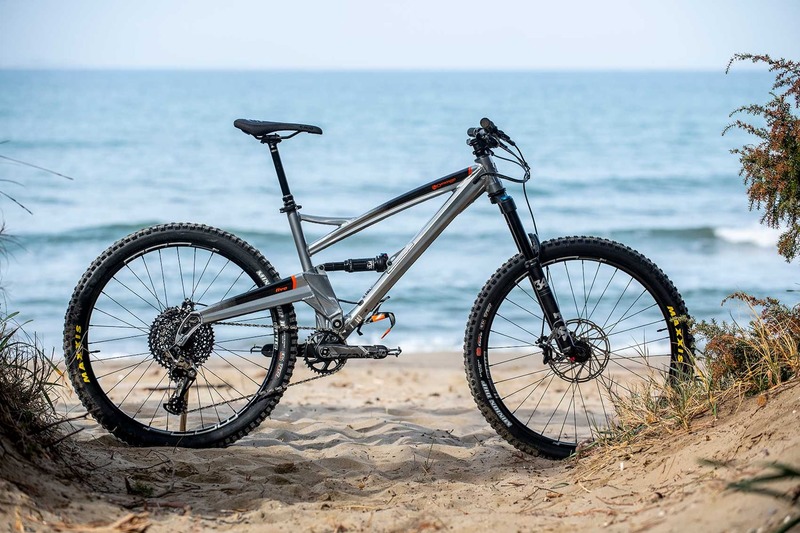 Orange (rightly) reckoned that the bike’s distinctive silhouette speaks for itself. 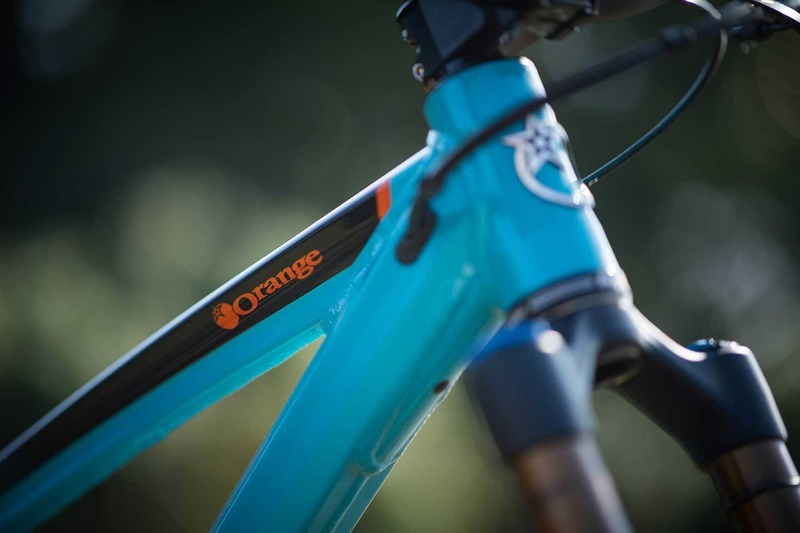 Nothing looks like an Orange Five, so the big ‘Orange’ logo has gone, to be replaced by a subtle Orange under the top tube. 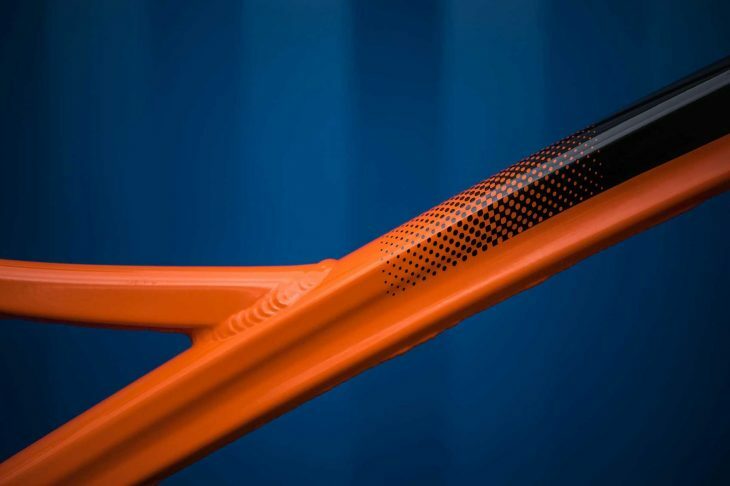 The rest of the graphics have smartened up, and are now waterslide transfers, applied in panels over the base powdercoat and then clearcoated on top – which has the added benefit of giving your paint a second layer of protection. Now to the numbers! 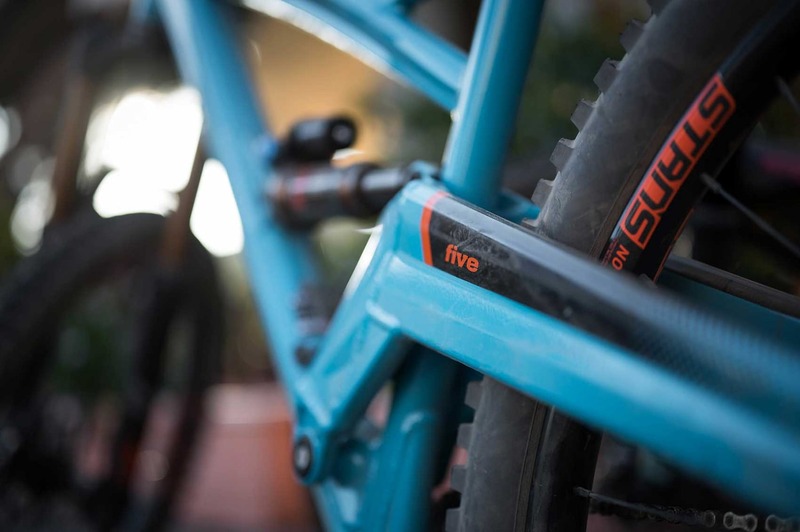 The Five, like the Alpine, uses a metric shock, which allows the latest and greatest shocks to be accommodated, and it has given the bike an extra 5mm of travel, up to 145mm with a 150mm fork up front. 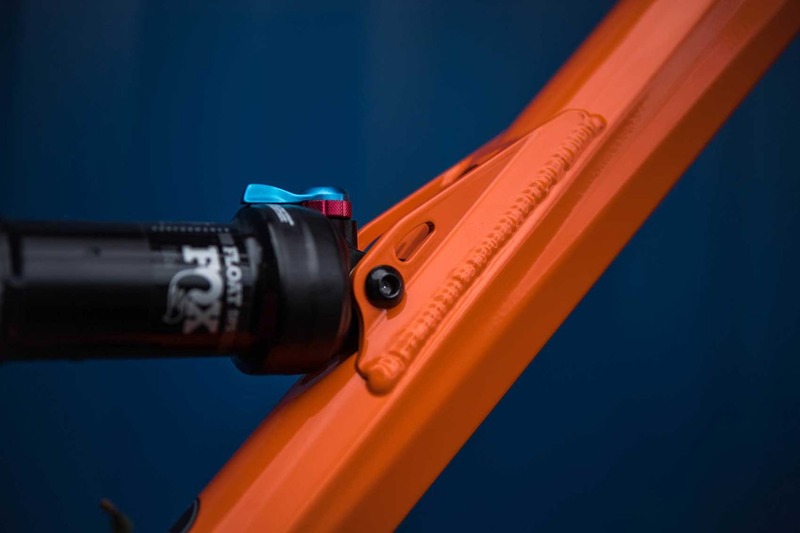 That 5mm figure appears a lot in this new bike too – the BB is 5mm lower, the pivot is 5mm lower and the pivot dimensions are 5mm wider a side, for an overall 10mm increase in rigidity for the pivot. The head angle is now 65°, so a degree slacker than before, with the effective seat tube remaining at 74°. 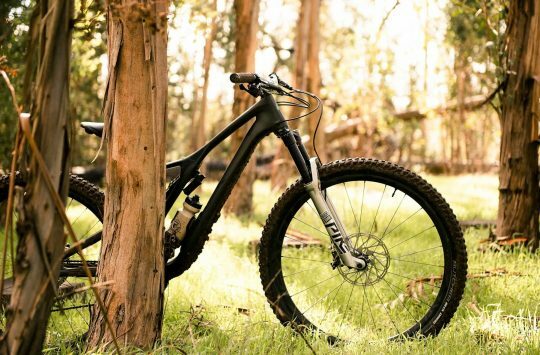 Reach has crept up a little too (10mm on the Large) while headtubes on the bigger frames have been shortened. You can see here how much material has been removed to fit the metric shock in. 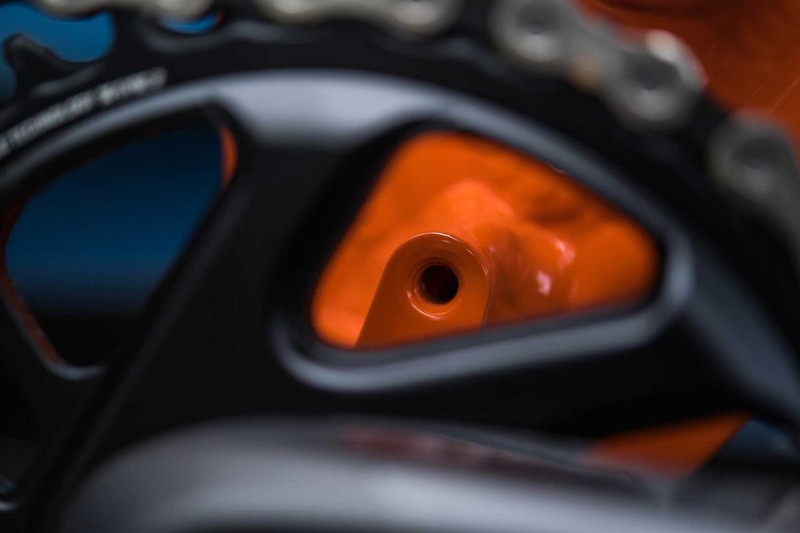 Metric shocks are squeezed in here, allowing all sorts of new shocks to fit. 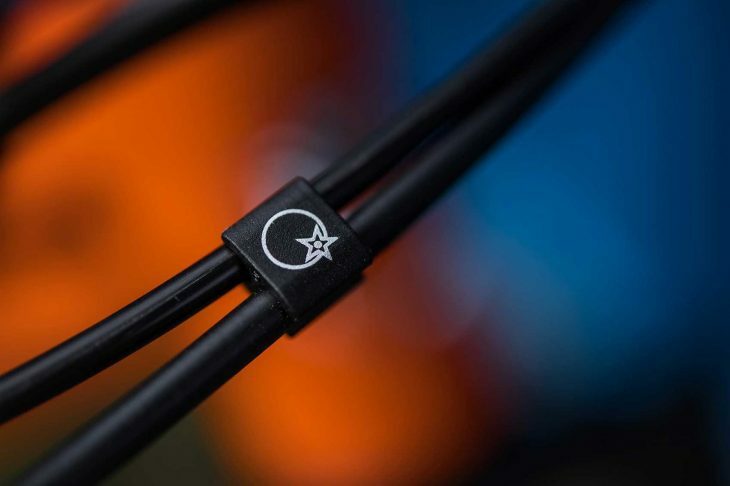 Cable grommets have been neatened up too. And yes, they’re still handmade in Halifax. Like it or not, there’s no real mistaking a Five, is there? 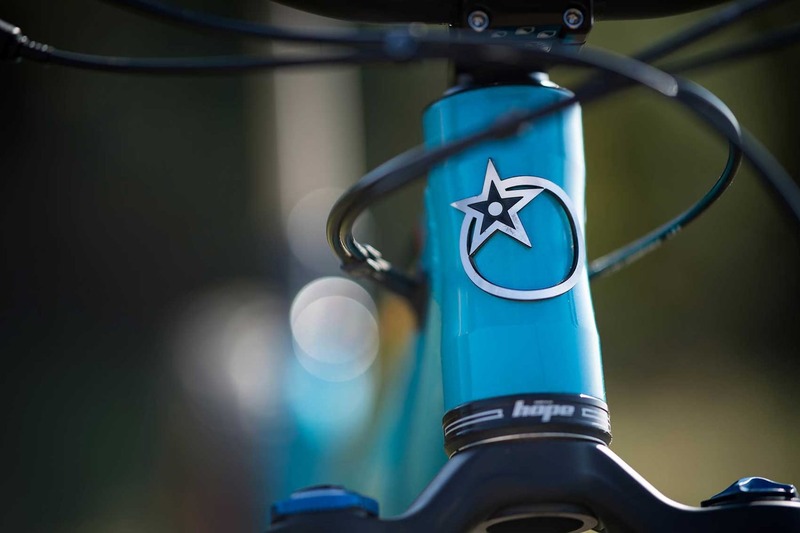 Surely one of the best headtube badges? 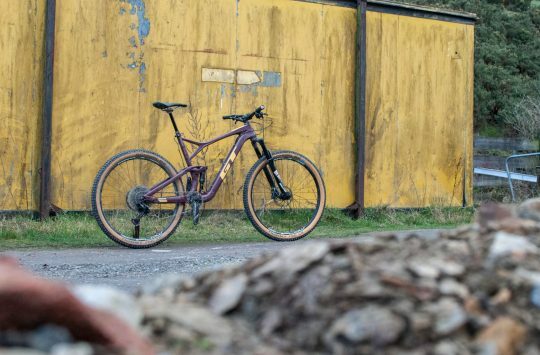 Five Factory starting at £5,700. 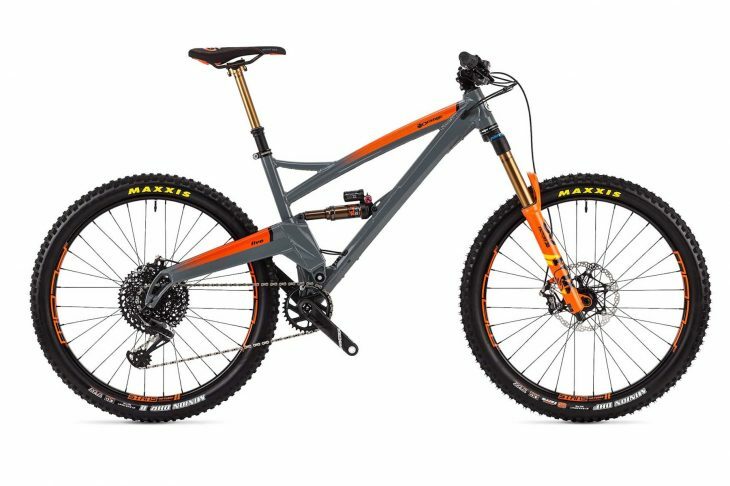 Each of these bikes is available in a choice of 10 colours, orange and black are free with the other 8 costing an additional £100. There are also three decal options to choose from. 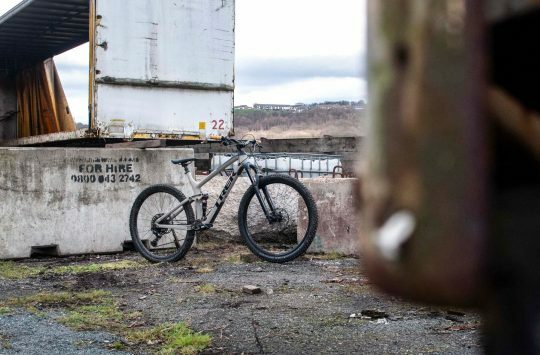 2020 bikes eh? Time flies… the New Year seems only 3 months ago. 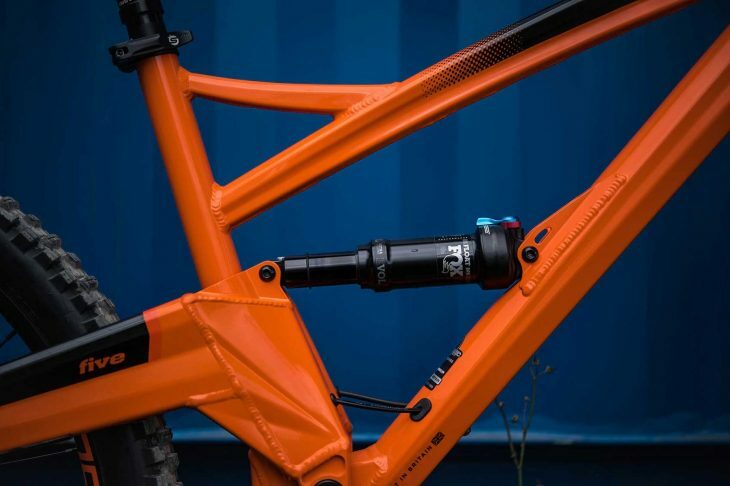 So what is the rear shock for in 2020 ? erm that’s not a 10 year old Five…. Indeed. And the fact that Chipps can’t tell the difference rather undermines his point..! Could they not find somewhere better to put bottle cage? 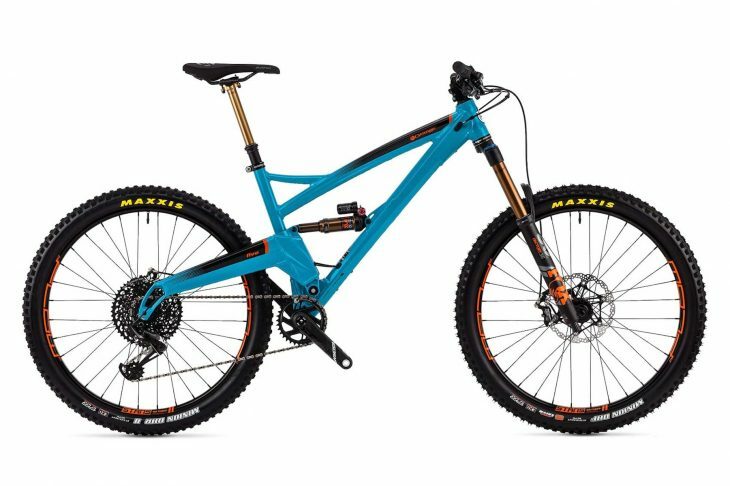 Should all manufacturers just drop the year model from any new bikes? When they were all released in October or something then it was believable but 2020 model out in March 2019 is just plain silly. Ugly, heavy, expensive, backward. Choose four. 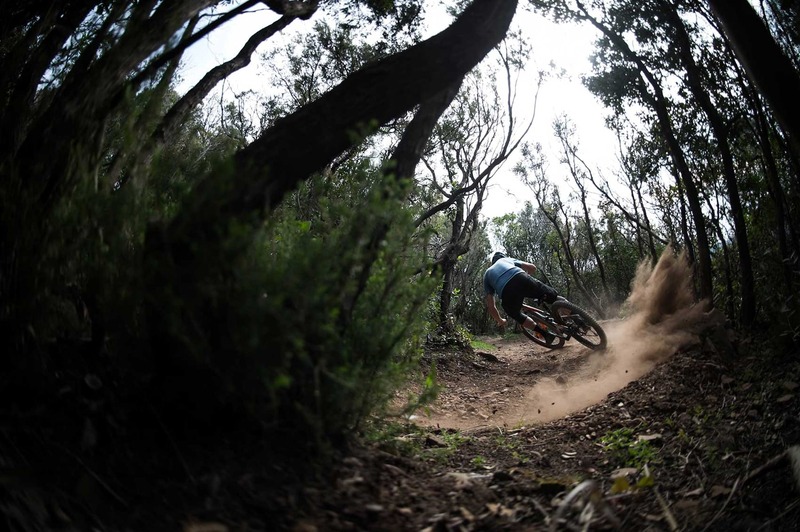 The new Five and Alpines are looking great. 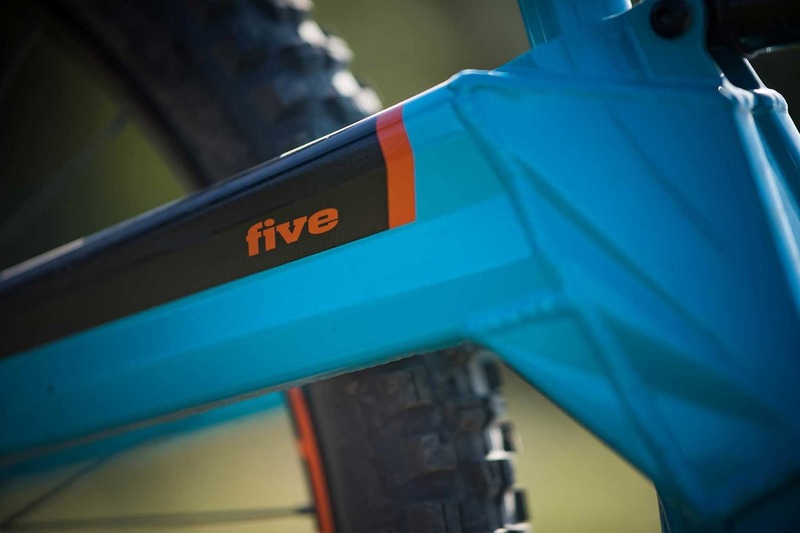 I’d love a Five but it underlines how mountain biking has well and truly left me behind when the “basic” Five Pro is £3.8k.